Today is 12 February, 2011. 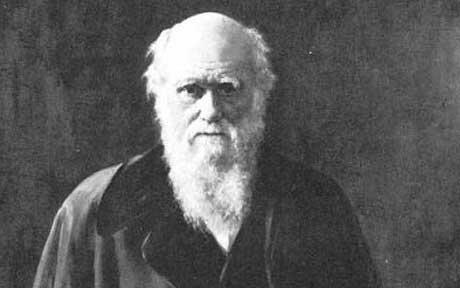 It is failed theology student Charles Darwin's birthday. On February 13, many churches will disgrace themselves by promoting evolutionism from the pulpit. Since the primary thrust of this Weblog is theological and not scientific, I will let you check some resources on your own. But I will give you some suggestions: Answers in Genesis, Institute for Creation Research, Creation Ministries International. If those are not enough, I have many more apologetics links here. What, you're bothered because I am not giving equal time to evolution? We are constantly exposed to biases, skewed reports, tendentious interpretations of the facts and outright ridicule of our viewpoints. This is equal time! There are church people who simply do not believe that the Bible is true (including having historical value), so they have no problem giving the appearance of scientific respectability to their churches. Some people believe in "theistic evolution", where God used evolution to cause his creation. Or they have God start the whole works and then he stepped back and let nature take its course. Naturally, there are compromisers who do not want to take a stand or who have not bothered to examine the evidence for Creation. Nor have they examined the implications of their compromise with evolution. However, there are honest, intelligent people who have looked at some of the evidence and insist that the Earth is ancient, disagreeing with Creationism. I am not going to go the other way, however, and say that we must believe no matter what science says. Perhaps our understandings of Scripture need to be adjusted on occasion. But carefully, with the bigger picture in mind. That's the proper Hebrew translation. Remember as well, that the Torah's original language is Hebrew. Hi Bob, this is another Bob saying thanks about the Hebrew. I got it in the first place from theWord software, which was invaluable in this article. Public schools are part of the big problem here. Teaching evo, and no one teaching the other side....for years. When I became a Christian, I had NEVER heard of a 'young earth' before. Great job on dealing with the 'day'!